While most people lament the arrival of cooler temps in the waning days of summer and early days of fall, I couldn’t WAIT to unearth and dust off my collection of soup recipes this week. After three wonderful – but very hot – years in southern California, Germany’s crisp mornings, drippy afternoons, and windy evenings are utter perfection in my book. Soup weather, how I’ve missed thee! 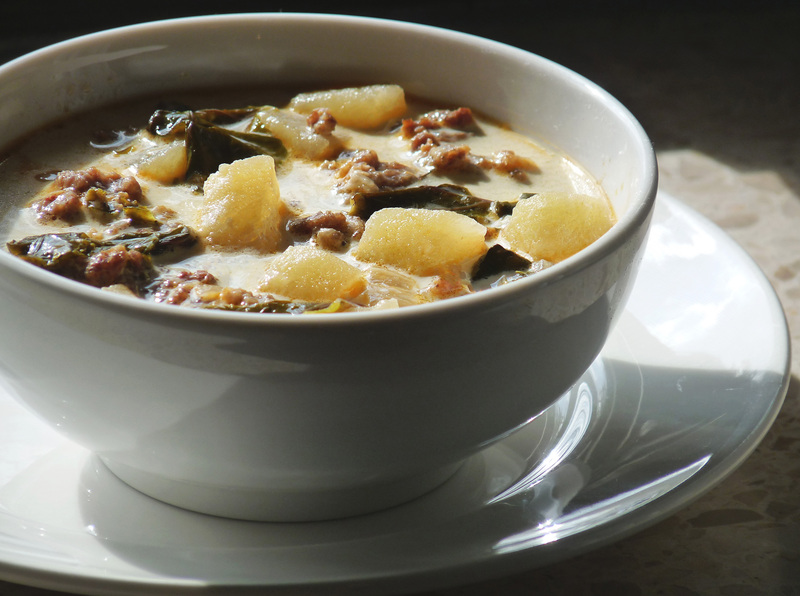 I’ve been wanting to try this recipe for Zuppa Toscana F-O-R-E-V-E-R. Oh my goodness – it did not disappoint! This is quite simply one of the best soups I’ve ever eaten. The combination of spicy Italian sausage, melt-in-your-mouth potatoes and slightly crisp kale is heavenly. And the broth – oh, the broth! Perfection! My husband and I intended to eat this as leftovers over the course of a few days, but alas, it did not see a second day. Yep, we ate all 12 servings. Two people. In one day. We’re still sad it’s gone, and speak of it fondly. It is that good. In a large pot on medium-high heat add the ground sausage and crushed red pepper flakes. Using a wooden spoon, break up the sausage until it is browned and fully cooked through. Pour the cooked sausage into a large bowl and set aside. In the same pot add the olive oil, chopped onion, and bacon until the onions become translucent and begin to brown (about 10 minutes). Add garlic and cook for an additional 3 minutes. Add wine to the pot and stir well to de-glaze. Combine water and Better than Bouillon chicken base, mix well, and add to the pot. After the potatoes are done, add the cooked sausage back into the soup. Using a large spoon, skim off most of the fat from the sausage that floats onto the surface. Add the fresh kale and stir in to allow the leaves to soften slightly. Reduce the heat to low and add the heavy cream. Stir. Add freshly ground black pepper, if desired. Garnish each serving with shredded Parmesan cheese, if desired. 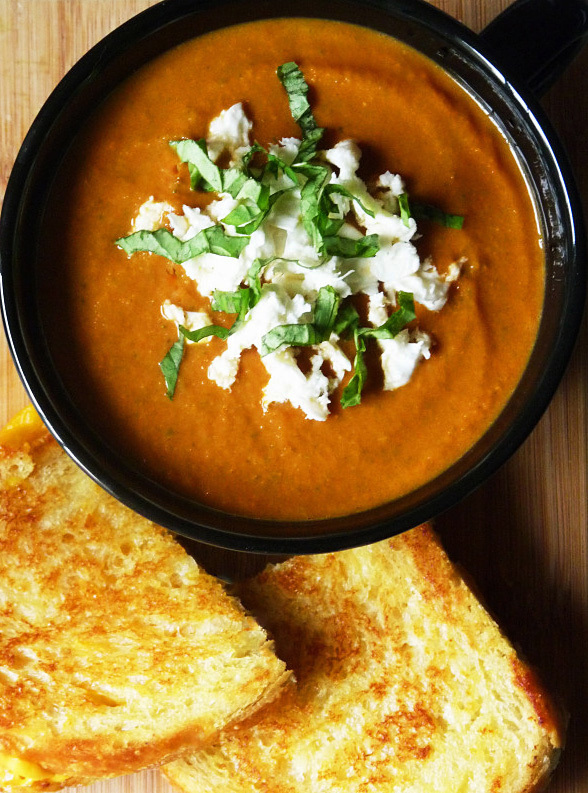 This recipe for Pumpkin Orange Soup – courtesy of the Autumn 2012 issue of Woman & Home: Feel Good Food – is a new culinary hit in our household. While I had my doubts about the combination of pumpkin, sweet potatoes and orange in a savory vegetable broth, I was pleasantly surprised with the unique seasonal flavor of this soup. 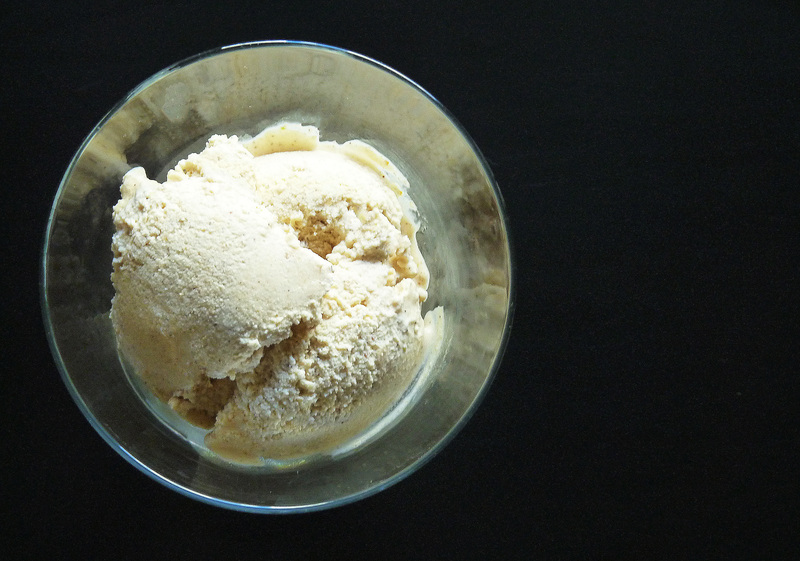 It’s easy, it’s vegan, and best of all, it’s PUMPKIN!! Enjoy! Heat 2 tablespoons oil in a large saucepan and cook the onion gently for 5 minutes, until softened. Add the pumpkin, sweet potatoes, orange zest and juice, garlic, ground coriander and stock. Season to taste. Bring to a boil, lower temperature and simmer for 25 minutes, until vegetables are tender. Remove the saucepan from the heat and liquidize the soup with a hand-held blender until smooth. Heat the remaining oil in a frying pan. Add the pumpkin seeds and a pinch of sea salt. Fry for 2 to 3 minutes, shaking the pan, until seeds begin to pop and turn brown. Remove to a plate to cool slightly. 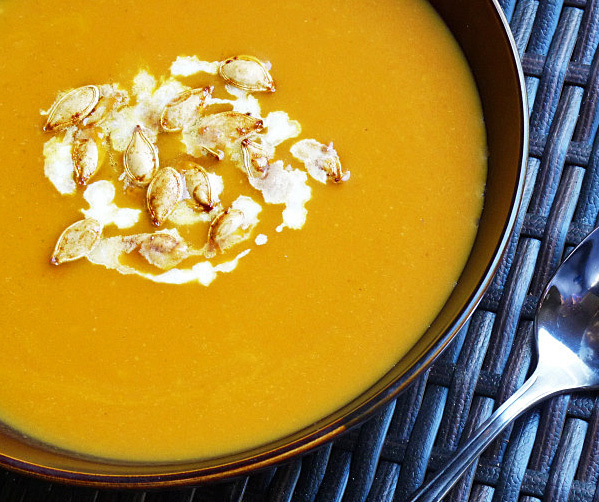 Serve the soup in warmed bowls, sprinkled with pumpkin seeds, cream, and a sprig of fresh coriander, if desired. It’s cold and flu season in many parts of the country (including here, despite being 90 flipping degrees outside – in NOVEMBER), so I thought I’d share one of my favorite recipes (a Tyler Florence classic!) for Homemade Chicken Noodle Soup. 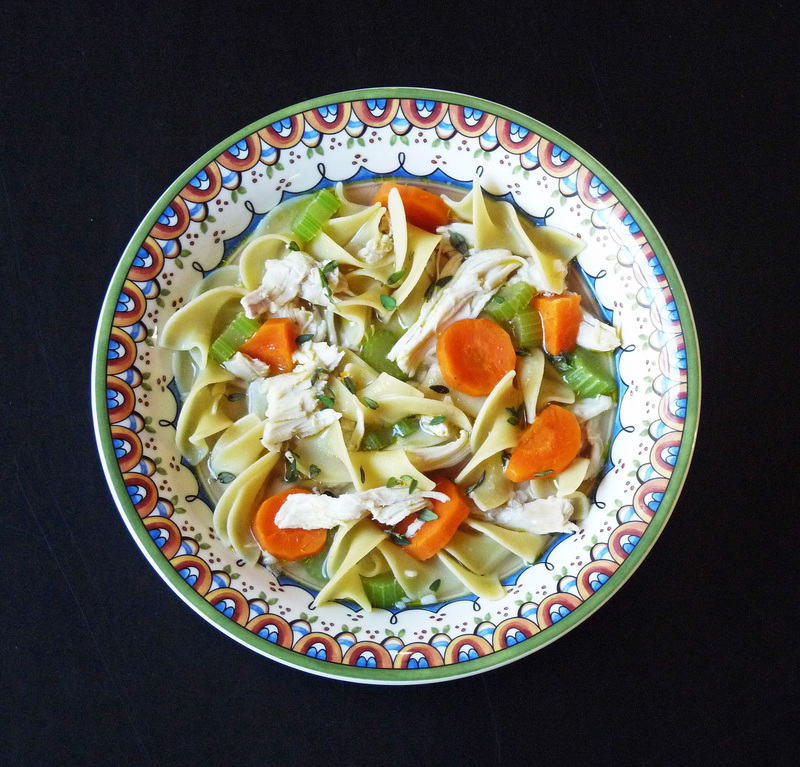 Preparing a pot of this soup is a great lazy weekend activity that – depending on the amount of time and energy you’d like to commit – can be made considerably easier with the substitution of store-bought chicken stock. I love the ability to control the level of sodium in the stock – not to mention the incredible flavor of the homemade version – so go for it if you can! Place a soup pot over medium heat and coat with the oil. Add the onion, garlic, carrots, celery, thyme and bay leaf. Cook and stir for about 6 minutes, until the vegetables are softened but not browned. Pour in the chicken stock and bring the liquid to a boil. Add the noodles and simmer for 5 minutes, or until tender. Fold in the chicken, and continue to simmer for another couple of minutes to heat through. Season with salt and pepper to taste, then sprinkle with chopped parsley before serving. Place the chicken and vegetables in a large stockpot over medium heat. Pour in only enough cold water to cover (about 3 quarts); too much will make the broth taste weak. Add the thyme, bay leaves, and peppercorns, and allow it to slowly come to a boil. Lower the heat to medium-low and gently simmer for 1 to 1 1/2 hours, partially covered, until the chicken is done. As it cooks, skim any impurities that rise to the surface; add a little more water, if necessary, to keep the chicken covered while simmering.